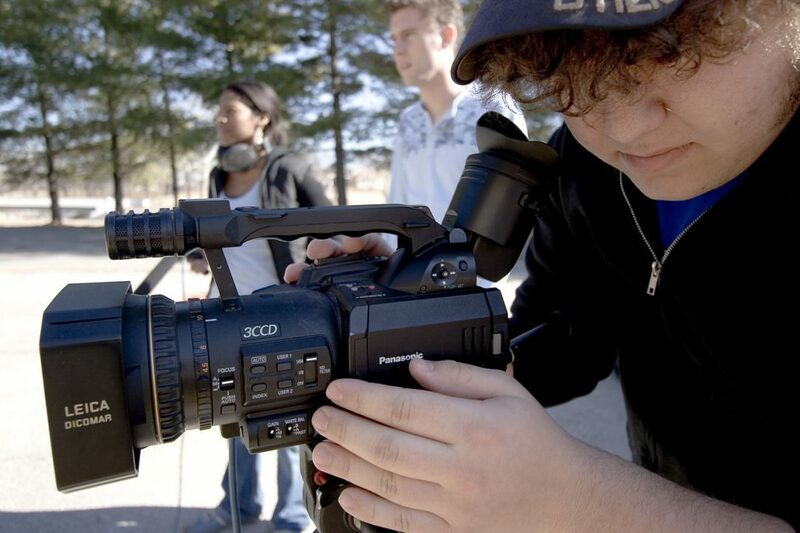 StudentCam is an annual competition hosted by C-SPAN for middle and high school students. C-SPAN sets a theme for each year’s contest, and students create a 5-7 minute video related to that theme. In the process, students must navigate the C-SPAN video archive and demonstrate a deep understanding of concepts in civics and government. Oh, and did I mention there’s prize money? C-SPAN awards a total $100,000 divided among 150 winners. There’s one grand prize winner, and then there are separate categories for middle school students, and three different regions of high school students. Take a look at the official announcement video here. Here’s a little more detail about how the whole thing works. First, your students should establish a team. They can work by themselves, in pairs, or in threes. Next, they should figure out their topic. The topic needs to relate to the theme, which this year is why any part of the Constitution is important to them. That gives them lots of options, and if they’re struggling to come up with something good point them in the direction of the Bill of Rights. Then, the real work begins – the video. They should think of this as part research project and part video production project, with the emphasis being on the research part. Before filming anything, students should do their research on the topic. They’ll need to cite sources at the end. To the extent that it makes an argument, their video should explore both sides of the issue. They should consider interviewing an authority figure – a professor, a local elected official, even their Congressperson. They must also include clips from C-SPAN’s video archive, so they should spend some time researching in there as well. Finally, it’s time to make the video. It must between 5 and 6 minutes long (unless the end credits are playing). The end credits should include references for your research. You’ll complete an entry form and then upload your video to a service called Vidler. The deadline for submissions is January 20, 2019. Then you sit back and wait while the poor staff and judges at C-SPAN watch thousands of videos and determine the winners. Here’s the grand prize winner from 2017. The theme that year was: “Your Message To Washington: What is most urgent issue for the new president and Congress to address in 2017?” Their video, “Tempest Tossed” focuses on immigration and refugees. Here’s a rundown of some other StudentCam winners from 2017. This can be a time consuming activity, and it can also require a good amount of technology to implement fully. For that reason, you may want to consider a couple of alternatives when implementing this in your class. Assign StudentCam as an Extra Credit Assignment. The simplest choice is to offer this as an options for students, give them an incentive, and then not require the whole class to do it. You could spend a period – or even less – introducing the concept. At a minimum, I would watch one of the winners from last year, hand out the instructions, and discuss the students’ questions and concerns. A next step would be to give the class some time to brainstorm topics and discuss what the students’ are thinking about. From there, it would be up to them to complete it on their own time and those who chose to do so would get credit. Assign the Research Project and Have StudentCam Be an Option. You can take it to the next level by assigning the research project to the entire class but not requiring that the students produce a video. The video documentary could be one option (and you could give them bonus points for submitting it) along with other choices. Other options might include a traditional poster board, a typed paper, or a storyboard. This alleviates technology problems if all of the students are not going to have access to the resources they need to produce the video. Assign StudentCam and Check In Once a Month. If you’re confident that your students can get access to the technology, then go ahead and assign StudentCam to the entire class. You can devote one or two days a month to the project, with class time spent brainstorming, discussing, and researching. You could simply have your students circle up once a month and report out on their progress as if they were journalists in a production meeting. Once they’re done, you’ll have to schedule time in January or February to play all of the videos in class. AssignStudentCam and Go All Out. One final suggestion is to just go whole hog and devote one day a week to the project. This is a big time commitment, but if Google can let its employees spend 20% of their time working on a personal project why can’t you do the same with your students? This would give you a lot more class time to work on planning, editing, and researching. If you have any other questions, check out the FAQ and the Rules on the StudentCam website. And then go ahead and get started! The image at the top of this post is courtesy of AiClassEland and the Wikimedia Commons.